For books co-authored or co-edited with others see full CV. 'Few books can boast of the right author meeting the right subject. Here is a glorious exception, which is part of Oakley's life work of refocusing the lens so that the role of women in establishing the welfare state is fully and justifiably recorded.'' (Frank Field, MP). 'a very important contribution to historical and sociological scholarship...an original and carefully researched corrective to the existing "business as usual" institutional and intellectual history of conflicts and tensions in the development of sociology' (Times Higher Education). Barbara Wootton, social science and public policy in the twentieth century (2011). London: Bloomsbury Academic. 'an immensely readable biography...unputdownable' (Times Higher Education). Adventures of a broken body (2007). Bristol: Policy Press. 'a highly polished essay on the body' (Ageing and Society). Gender, women and social science (2005). Bristol: Policy Press. 'she is a pioneer in her field' (Times Higher Education). (2002). Cambridge: Polity Press. New York: The New Press, 2003. Themes. 'yet another exceptionally good book' (Acta Sociologica). Gender and method in the social sciences (2000). Cambridge: Polity Press. New York: The New Press. 'This book is a tour de force' (Social Policy). Richard and Kay Titmuss, my parents' early years (1996). London: HarperCollins. Extract. 'honest, heartfelt, and eye-opening' (British Medical Journal). (1993). Edinburgh: Edinburgh University Press. 'It is one of life's greatest pleasures to watch a smart, creative, playful mind at work' (Women & Health). The natural history of a research project (1992). Oxford: Basil Blackwell. Extract. 'read this book if you are interested in the relation between social stress and health' (British Medical Journal). Selected essays (1986). Oxford: Basil Blackwell. 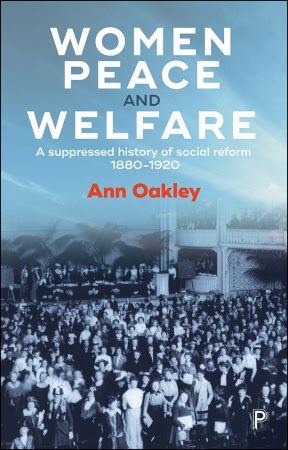 'Ann Oakley is the Barbara Cartland of feminist social science' (Tribune). 'should be compulsory reading for all doctors and midwives' (Health and Social Service Journal). (1984). London: Jonathan Cape. Fontana paperback 1985; Random House, New York. 'a leading reference source for women's rights' (The Guardian). 'a superb study of what it is like to have a baby in Britain' (New Society). 'a landmark in publications about childbirth...If only this book could be available to all women thinking of launching into pregnancy' (Women Speaking). 'should be compulsory reading for those people who think that a woman's place is, always was, and ever shall be, in the home' (New Statesman). 'a unilateral, one-woman attempt to bridge the gap in the sociological literature' (New Statesman). New edition with substantial new introduction. London: Ashgate 2015. 'an excellent book... fills a wide gap in the literature...Scholars will find her perspective challenging and provocative' (Reviews in Anthropology).